The Bulgarian Industrial Capital Association (BICA) discussed its key priorities with more than 30 of its coordinators for South Bulgaria. These include business climate improvement, accelerated resolution of human resource shortages, plan-adopters in vocational and tertiary education, opportunities to support Regional Innovation Centers, comprehensive energy reform. During the meeting, the regional coordinators of the most representative employers’ organization had the opportunity to discuss the opportunities for interaction between the business and the Ministry of Education and Science, the Ministry of Economy, the Ministry of Labor and Social Policy and the Employment Agency. Special guests of the event were Deputy Minister of Education Tanya Mihailova, directors of directorates, chief and state experts from the listed ministries. “In the past year BICA was among the main drivers of a number of measures aimed at significantly improving the economic environment in our country. I am also referring to the reforms in the professional and tertiary education and the measures that we have started to overcome the shortage of human resources and many other initiatives in which we will continue to work towards their realization, “said BICA’s chairman Vasil Velev. To improve business climate, the employers’ organization will continue to work to accelerate eGovernment, curb state intervention in the economy, improve regulatory work, and reduce administrative burdens on business. 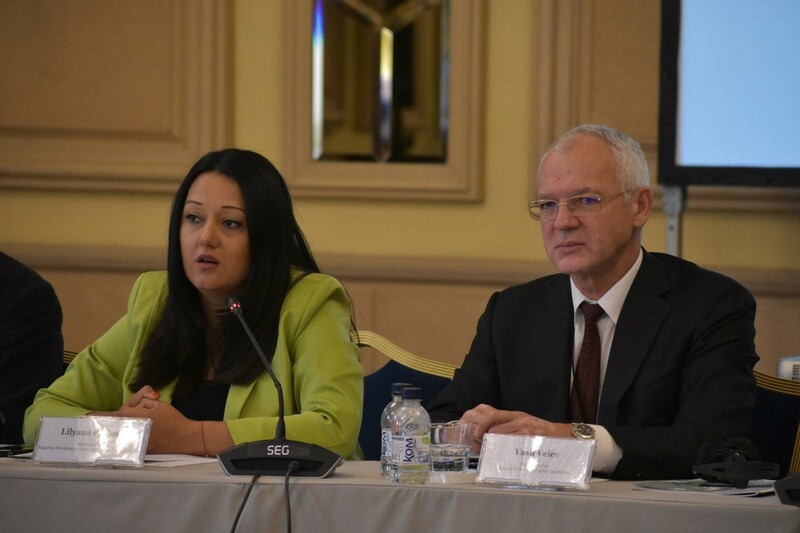 According to BIC Bulgaria needs to take all necessary measures to join the ERMII, Schengen and OECD. During the meeting the opportunities for support of Regional Innovation Centers were presented. The opportunities for building and developing modern research and innovation infrastructure will facilitate the accelerated economic and social development of the Bulgarian regions. The aim is to establish associations of at least three enterprises and at least one scientific organization, thus creating the necessary synergy between business and science. Particular attention was paid to the mechanism of admission plan in vocational schools and vocational training classes as well as proposals for changes in the Higher Education Act. According to the Association, joint action among all stakeholders is needed to increase the attractiveness of key economics specialties, which are expected to have a serious shortage of qualified staff in the coming years. Among the suggestions are an increase in the role of business in determining part of the content studied, the opportunities for dual learning and the awarding of scholarships to the students of the respective majors. Students from these key majors who are studying “state order” may be awarded scholarships for financing their education and for monthly maintenance but on the condition that they work for a certain period of time in Bulgaria or for a Bulgarian company. As one of its most important priorities, BICA has identified the energy reform. The association was ready to provide full support to experts in the development of a new energy law introducing full liberalization of the market as well as adopting a balanced national energy strategy by 2030. In addition, BICA will insist on the discontinuation of State aid to “American power plants” , the responsible market behavior of the Bulgarian Energy Holding companies, and the strengthening of the control by KEVR against the market abuses of the Bulgarian Independent Energy Exchange. ” I am honored to welcome people who give employment, because the development of our society depends on the development of the economy. There can be no social change without a strong economy . ” With these words the President of Bulgaria Rumen Radev found a place today, December 11, 2018, at his invitation meeting with the heads of the nationally representative employers’ organizations – BICA, BIA, BCCI and CEIBG. The meeting, besides members of the presidential administration, was attended by Vassil Velev – Chairman of BICA and Executive Director of “Stara Planina Holding” Radosvet Radev – Chairman of the Bulgarian Industrial Association and executive director of “Darik holding”, Tsvetan Simeonov – Chairman of BCCI, Evgeny Ivanov – CEO and board member of CEIBG Kancho Stoychev – Deputy Chairman of BICA and chairman of the Union “Made in Bulgaria” Good Mitrev – Secretary of the BIA, and Miroslava Markova – Ch. expert “International cooperation and international organizations” to BCCI. The main topic of discussion was the possibility of intensifying the dialogue between the presidential institution and employers’ organizations to identify problems and identify measures to improve the business environment and accelerate economic growth. In his words stapitelnite The head of state noted the excellent cooperation with employers’ organizations in organizing business forums with potential partners from Romania, Poland, Israel, Armenia, Macedonia, Malta, India and others. As an example of good partnership and understanding of the business problems Rumen Radev said, also refusing to veto laws on labor migration and energy. According to him, good communication and quality argumentation are a prerequisite for achieving balance in public relations, so as to take the utmost account the interests of all stakeholders and to seek the best solutions for the development of the economy. ” Total is concern Bulgarian businesses to move beyond the fence of the EU and to restore its position in the traditional markets such as those in the Arab world, Central Asia, Cuba and others. The business climate does not lead to serious growth based on investments with high added value. Advocates of restrictions rather than incentives. Late introduction of e-governance. Corruption distorts the market relations and discourages business , “said Rumen Radev. According to him, it should work actively to the positive image of Bulgaria, because we are in a highly competitive environment of the surrounding countries that implement strong incentives to attract quality investments. ” We take this meeting as a good tone in the social contract between the state and employers ,” said in turn Radosvet Radev – Chairman of the BIA and the rotating presidency of AOBE for 2018 According to him, there is aggressive budgeting against businesses in the ongoing growth tax burden and therefore does not leave enough free capital to invest in industries with high added value. ” Business climate deteriorates, the entrepreneurial spirit is lost. In the early 90s each sought to develop their own business. Today’s young people want to work in public administration or in large international corporations but not to risk as entrepreneurs. It takes a vindication of entrepreneurship if we are to move forward“Said Radosvet Radev, adding that without modernization of the economy will have modern Bulgaria. “Europe is making plans for 2030-2050, China – for 2100, and in our horizon is about a government mandate,” said the chairman of the BIA. According to the President of BICA Vasil Velev , Bulgarian entrepreneur is undeservedly reviled incl. in terms of income, growing faster than labor productivity. A key problem for the economy, he said the lack of skilled labor – and in quantity and quality. ” The first reason for the lack of investment is the lack of human resources. Germany adopt legislation to aggressively attract people not only from non-EU countries but also from countries such as ours. This will put us in an even more difficult situation and urgently need to look for solutions in this direction “, said Vasil Velev. In conclusion, he thanked the president for Radev balanced position in international relations, but firm enough in defending national interests. President of the Union “Made in Bulgaria” Kancho Stoychev put attention three basic questions – “Income and power,” “income and productivity” and “Employers and prison.” According to him, it is unacceptable for employers to be approached with unbalanced aggression, is unacceptable to think that power creates income. ” We have a leftist government ,” concluded Kancho Stoychev and called for less populist and more pragmatism in managing. Enhanced search for new markets outside the EU, incentives for investors and provisions for workforce incl. by facilitating the procedures for imports from third countries and called on the President of BCCI Tsvetan Simeonov . BCCI had placed emphasis on the importance of improving the performance of controls and curb the trend of transferring the burdens on business – such as registrations, notifications, etc., Instead of improving the work of the supervisory bodies for which they have clear commitments in the regulations. BCCI said inefficiencies of pouring money into unreformed sectors such as education, health, public administration and stressed the need to link more resources to achieving concrete improvements in the activities of the respective sectors. ” Speaking of politicians is also important for business. The capital is by definition shy and is very important in what environment will be placed , “said CEO CEIBG Yevgeny Ivanov. He stressed that the business is not a criminal and that politicians owe him in this regard, since actions and speaking often create an environment for social intolerance towards enterprising people. An example of this is the protest builders caused by continuous negative discourse of politicians, which can spread through the economy. Yevgeny Ivanov disagreed that there is capital flight. According to him, there are more investment diversification and risk sharing. “If negativism from politicians continued, these people will have a place to continue their business , “said CEO CEIBG. In conclusion, President Rumen Radev urged business representatives this year to actively participate in the initiative “The Bulgarian Christmas”, noting that so far collected 2.6 million. Lev and 29 health facilities have received modern equipment. Participants in the meeting agreed to the regularity of the meetings, as well as organizing joint events aimed at seeking mechanisms to accelerate economic growth. Be part of the exhibition in Sofia dedicated to the rain. The Bulgarian Water Association (BWA), as the largest non-governmental organization in the water sector, has traditionally celebrated the World Water Day – March 22, with the organization of thematic events in Sofia, organized in the WATER WEEK EVENT. 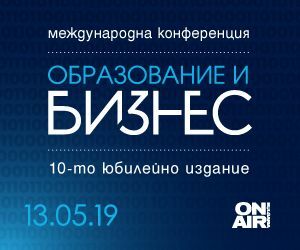 Part of the events within the iconic BWA Week of 2019 is the photo exhibition entitled “There is nothing better than rainy weather” and a round table of the world-wide theme “Sustainable Rainwater Management”, which will be held on 21 March in Sofia. In this regard, see more information about the photo contest with a request to assist in its dissemination, in order to reach the maximum number of people who would like to participate in the public benefit initiative of BWA. Ivan Ivanov, Chairman of the Management Board of the Bulgarian Water Association (BWA) and Deputy Minister of Environment and Waters Atanaska Nikolova at the Photo Competition of BAV with an exhibition in 2018 in the Central Mineral Bath in Sofia. “Doctor” is the most attractive profession in Bulgaria. It ranks first with a rating of 55.46 out of a total of sixteen professions from the Mechanical and Metal Processing, Electrical and Electronics, Transport and Spedition, and Beauty and Health Medicine and Services sectors. However this does not solve the problem of physicians’ deficits due to the growing leak of qualified staff outside the country. Measuring their attractiveness is part of the implementation of project BG05M9OP001-1.011 – 0002 “Achieving sustainable and quality employment by improving the attractiveness of professions with low labor market supply in key sectors for the development of the Bulgarian economy”. This was announced by Vasil Velev, Chairman of the Bulgarian Industrial Capital Association (BICA), at a special closing press conference on the project. The least attractive profession in these industries is that of the locomotive driver. In the mechanical engineering sector, the “Mechanical Engineer” profession was the most attractive with a 54.64 rating. After that, the professions of “CNC Machine Setter”, “Welder” are ranked and with the lowest rating is the “Spinner” profession with an average rating of 35.44. In the “Electronics and Electrical Engineering” sector, the highest rating of 47.80 is the “Electrical Engineer” profession. Second is “Electrical Engineer” with 38.36 rating. The third and fourth are the professions “Electronic technician” and “Machine operator”. The other professions of “Medicine and Health and Beauty Services” are Midwifery and Medical Nurses, with the lowest rating in the industry being the profession of a laboratory technician with a rating of 33.14. 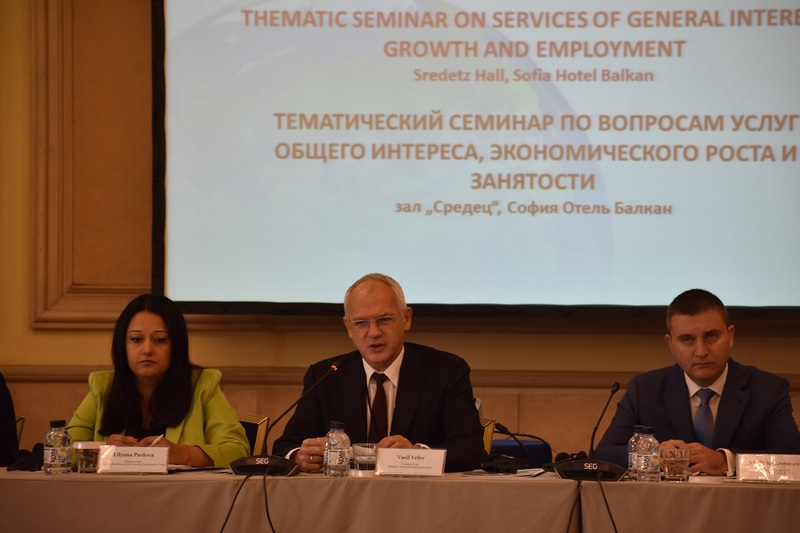 “The aim of the project was to create a pilot model for solving one of the main problems on the labor market over the last 15 years – the lack of skilled labor for key areas of the Bulgarian economy. Overcoming the imbalance between demand and supply of suitably qualified human resources is one of BiCA’s largest and most labor-intensive goals. I believe that the proposals to the Ministry of Labor and Social Policy and the Ministry of Education that we have made as a result of the results of the project activities are feasible and will be taken into consideration, “said the chairman of BICA Vasil Velev. In the world practice so far, no such system has been developed to take into account the attractiveness of professions, nor is there such a rich tool for enhancing their attractiveness, which includes a strategy and a plan with specific measures, models for enhancing the attractiveness of each of the 16 professions, module to promote the labor force and its mobility, as well as a model for objective assessment of labor productivity. A new model for negotiating minimum wages and introducing collective bargaining practices on labor productivity has been developed. Proposals for the introduction of mentoring and advocacy in the Bulgarian legislation have been made after the pilot testing of the procedures developed in the project in more than 85 enterprises from the above mentioned four branches. A total of 40 career counselors and employment agents from the Employment Agency were trained to apply the tools developed to jobseekers. Within the framework of the project, the “Rating of the Occupations” Information System has been established, which will annually announce campaigns for rating the professions with low labor market supply. All developed systems and tools will be provided to the MLSP and the Employment Agency for free use and further development. 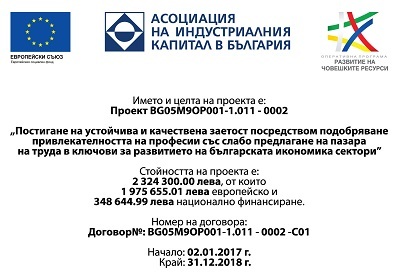 The project BG05M9OP001-1.011 – 0002 “Achievement of Sustainable and Quality Employment by Improving the Attractiveness of Professions with Shortage of Supply on the Labour Market in Key Sectors of the Bulgarian Economy” started on 02.01.2017, within the 24 months more than 80 experts have been involved in its realization. Associated partners in the project included experts from the Ministry of Labor and Social Policy, the Employment Agency and the National Agency for Vocational Education and Training. The Ministry of Tourism is working hard to attract investors to the sector and world brands of the highest class hotel chains such as Four Seasons, Taj, Marriott and others. This was stated by Minister of Tourism Nikolina Angelkova during a working meeting with the Bulgarian Industrial Capital Association (BICA). She added that global chains such as Hyatt and Marriott have been already building several new luxury sites along the Black Sea coast, in Sofia and the interior of the country. A few weeks ago, the new InterContinental hotel in Europe, officially named Sofia, was officially opened in the capital, explained the minister. Minister Angelkova explained that one of the main goals of the ministry is to establish Bulgaria as a sought-after and competitive tourist destination for four seasons. “The fact that our country is geographically situated in close proximity to one of the strongest tourist countries in Europe and the world does not discourage us, on the contrary – it is ambitious,” she said. In the last three years since the establishment of the Ministry of Tourism as an independent institution at the end of 2014 Bulgaria has recorded record results in the whole history of the industry. For the period from January to September 2018, visits of foreign tourists to Bulgaria are already 31% more than the same period in 2015, revenues have increased by 38%. The minister also cites data, according to which our country is becoming an increasingly recognizable and attractive route for millions of tourists who exceed their own population. NSI statistics show that a total of more than 7.9 million foreign tourists visited Bulgaria for the period January-September 2018, with growth of 5.5% compared to the same period last year. Revenues from international tourism totaled 3.2 billion euros in January-September this year, the latest data from the BNB show. Growth in the same months of 2017 is 7 per cent. Minister Angelkova also announced that it will be expected at the beginning of next year to unveil the Unified Tourist Information System (ETSI), which will connect real time information records of the accommodation with the Ministry of Tourism, the National Revenue Agency and the Ministry of the interior. “The aim is to make tourists stay even safer, but also to lighten the sector, taking into account the actual number of nights. Only those authorized by law will have access to this information, “said the Minister of Tourism. She explained that information courses will be organized to help the business, and experts and representatives of the contractor will be available to introduce the changes. The amendments to the Categorization Ordinance will introduce the possibility of electronic submission of all applications to the registers not only by electronic signature, but also by facial recognition. The Ministry of Tourism is among the first administrations to offer face identification to its users. This will be done electronically and will be demonstrated within days. With such an identification, users will request a specific service and access to registration modes. The change will make it easier for entrepreneurs and investors, and the provision of administrative services will take place in very short terms. In the presence of business representatives, the Minister recalled that the ministry had already taken measures to reduce the administrative burden in line with the government program. “There are now 19 types of fewer paper documents in our registration regimes,” the minister explained. Vasil Velev, chairman of BICA, said that for the Association and for business in general, the tourism sector is of great importance also because of the tourism-related activities and industries, production, airlines and roads. The members of BICA and Minister Angelkova discussed joint initiatives to provide staff in tourism, to improve the transport infrastructure to tourist sites, measures and incentives to extend the summer season, increase the advertising funds, etc. Both sides expressed their satisfaction with the good cooperation after the establishment of an independent Ministry of Tourism and the confidence that it would be even more beneficial. Minister Angelkova handed Mr. Velev’s diploma for fruitful co-operation in tourism with AICB and expressed satisfaction for good working together. 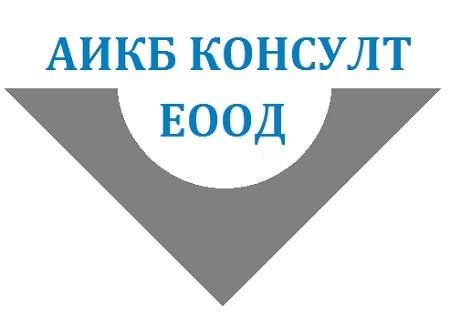 For the third consecutive year, the nationally representative employers ‘organizations – BICA, BIA, BCCI and CEIBG, united in the Association of Bulgarian Employers’ Organizations (AOBE), call on the branch organizations not to participate in the forthcoming negotiations on the determination of the minimum insurance income for 2019. In a letter, AOBE members thank branch organizations for their previous support, and are confident that they will also make a definitive refusal to participate in the MOD-2019 talks this year. According to the employers’ organizations, the practice of defining an MOD shows the control system’s powerlessness to deal with undeclared work. Moreover, the gray sector is increasing, pressure on employment in individual regions, sectors, depressed enterprises, low-skilled vulnerable social groups, and a reduction in the net remuneration of employees. Last but not least, such a practice does not exist in the EU Member States and Bulgaria has been repeatedly criticized on this issue by the European Commission. The members of the AOBE are convinced that the conditions and the remuneration of the work, as well as the updating of the minimum wages for the respective positions, should be determined by collective agreements and be valid for the respective parties under these contracts without extending to the whole economy. In addition, AOBE reminds that the adopted in April this year. government medium-term budget projections foresee a 20.9 percent increase in wage and salary compensation per employee by 6.6 percent, with double growth in labor productivity (3.2 percent). According to the approved procedure, the Minister of Labor and Social Policy will announce the negotiation schedule and, after their end, will disclose the MODs for the nine groups of professions and positions in 85 economic activities. Cohesion policy is the most important instrument of the European Union for economic, regional cohesion and sustainable development and inclusive growth. It is also the basis for supporting and developing services of general interest. Around 70 representatives of European employers’ organizations took part in the international conference “Services of general interest – an engine for sustainable development and growth in Europe”. The event, which is part of the program of the Bulgarian Presidency of the EU Council, is co-organized by BICA, the CEEP and the International Coordinating Council of Employers’ Unions (ICCEU). BICA is a member of both organizations, enabling it to participate directly in decision-making that affects business climate in Europe and the world. “Services of general interest determine directly both the standard of living and the business environment and are an essential element of competitiveness. We are concerned about the EC’s highly conservative proposal, which represents a reduction of 150 billion euros for the seven-year period. More than ever, European citizens need certainty and the mobilization of important investments for European businesses and the strengthening of the European economy as a whole depend on the timely adoption of the Multiannual Financial Framework. 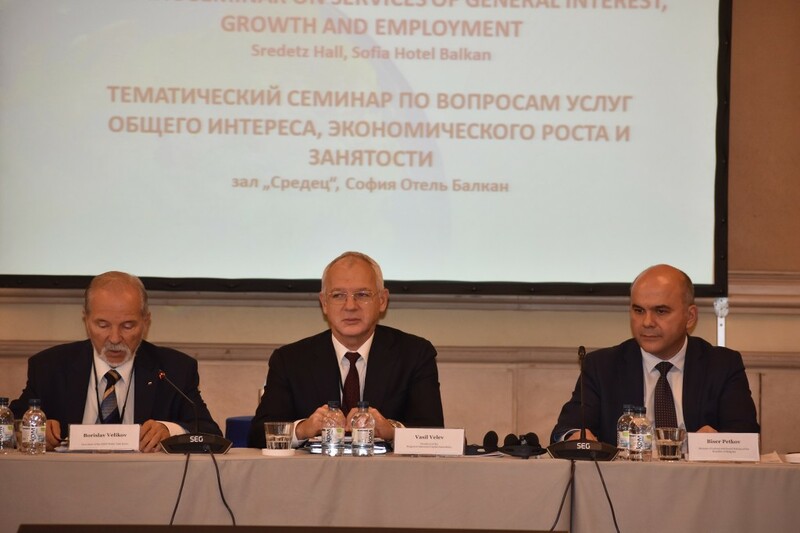 I believe that we all have to unite and work for a balanced financial policy that puts emphasis on investments to increase the competitiveness of enterprises and to increase the qualified workforce, “said the chairman of BICA Vasil Velev. “I also want to highlight the fact that Europe today needs the impetus of cohesion policies, from the enlargement of the Eurozone towards all those who want to join it and from the establishment of the area enclosed by a single external border. Bulgaria declares its will and willingness to be accepted in ERM II on the basis of the macroeconomic conditions. The efforts of the government and social partners to lighten the business in which BICB is an active participant have delivered a serious result, including towards improved collection in the revenue side of the budget. Efforts are also being made to more effectively manage state-owned companies, with BICB continuing to insist that minority bundles be offered on the stock exchange to improve corporate governance, enhance transparency and disclosure. Today, Bulgaria fulfills all the numerical criteria for entry into the eurozone on a sustainable basis – we have a positive budget balance, among the first three countries we are in the EU with the lowest government debt / GDP, we exceed the criteria for low inflation and long-term interest rates. Our national currency is fixed to the euro since its occurrence without changing the exchange rate. The business in Bulgaria is convinced that joining the eurozone would strengthen it, not weaken it. We are convinced of the benefits of Bulgaria’s accession to the euro area for our country as well as for the EU. 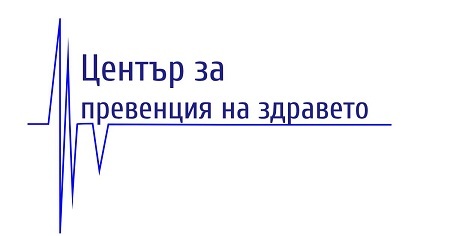 That is why we encourage our Government and the BNB to apply without delay to ERM2,” stressed Mr. Velev. Mr. Velev also noted our other national goals – Schengen and OECD. He also drew attention to another fundamental and very important policy document, the European Social Rights Pillar, endorsed at the end of 2017: “BICA supported the Pillar as a guide to effective employment and social outcomes in responding to current and future challenges that are directly geared to meeting the basic needs of people, and to ensuring better enforcement and enforcement of social rights. We have made specific recommendations to the Bulgarian Government, which are also valid for our European partners. Europe faces a huge imbalance between demand and supply of labor. We believe it is very important to integrate into the labor market the people who are left behind, and it is of particular importance that the long-term unemployed and those of the most vulnerable groups – long-term unemployed and inactive – be included in training in professions and in part from professions for which there is a shortage of human resources. Labor market measures must be individual to be effective. Employment programs should be put on a new higher level to meet the needs of the labor market. An important condition for helping these groups of unemployed is to work with employers and to provide them with incentives to recruit these people, including a major role for the social partners. To guarantee social rights, economic development is needed, it is necessary to promote qualified, high-productivity and intensive work. It is necessary for the social pillar to enter into an entrepreneurial pillar, because the goods are created. They are not due to a ready and effortless one. Representatives of employers’ organizations discussed the role of public services and services of general interest in the context of EU Cohesion Policy and identifying mechanisms to increase them. The aim is to provide services that play a key role in reducing regional disparities and supporting economic and sustainable growth in the EU by more suppliers, including more employers. MEPs are working on simplifying the rules of the new EU legislative and financial framework, said Iskra Mihaylova, the Chair of the Regional Development Committee. Following its adoption, which is expected to be in 2019, Member States will now have to report on the progress and results of EU funds absorption every two months, not as it has been until now. “European leaders have realized that they need to step up their efforts and work more and more together for the development of Europe and the achievement of sustainable economic growth. The changes that have occurred in recent years in the development of services of general interest have shown us that they can be a powerful tool for helping the member states, “added Vladislav Goranov, Minister of Finance. Participants also looked at the implementation of the Social Rights Pillar across Europe. The main focus was on the huge imbalance between labor supply and demand. In order to overcome the problem, it was pointed out the integration of all persons remaining outside the labor market, and it is of particular importance that the long-term unemployed and those of the most vulnerable groups – long-term unemployed and inactive – be included in training in professions and part from professions for which there is a shortage of human resources. An important condition for helping these groups of unemployed is also working with employers and providing them with incentives to recruit these people. Bisser Petkov, the Minister of Labor and Social Policy, said that services of general interest are the guarantor of equal access to the labor market and respect for the social rights of every person. During the conference, the proposals on the Clean Energy Package and the Drinking Water Directive were also examined. According to the representatives of the employers’ organizations, the EU must have a common long-term vision of how to develop this sector and at the same time enable the member states to find their place on the European energy map. 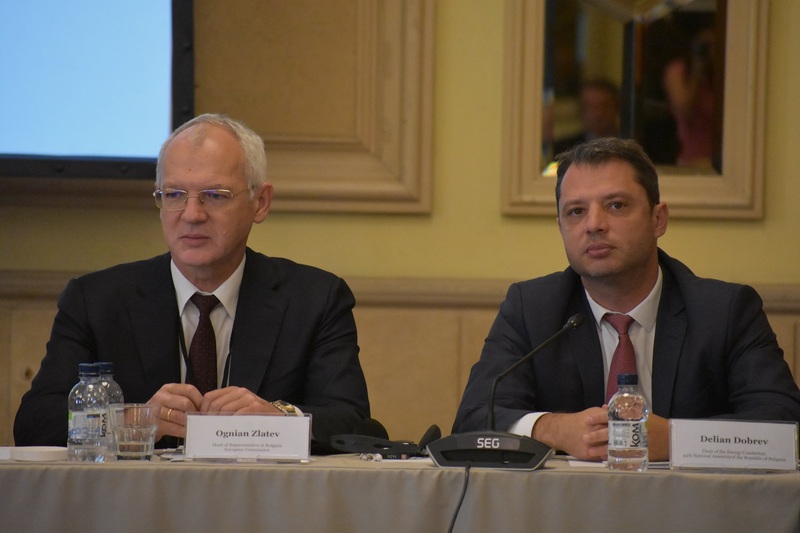 The Bulgarian energy market can now be compared with the markets in the developed European countries, Delyan Dobrev, the Chairman of Energy Commission said. Since July this year 70% of electricity is traded on the free market, and this liberalization is a fact thanks to the work of employers’ organizations and the state over the last 3 years, he added. The chairman of BICA Vassil Velev said that work should be done to improve the consistency of European and national energy and climate policies but without losing competitiveness or overpowering energy prices. In his words, Bulgarian businesses and Bulgarian citizens are often victims of the renewable energy community’s privileges, and therefore fully supports CEEP’s desire to treat these players on the energy market as each other and to be placed on a level playing field. Among the participants in the international meeting were Lilyana Pavlova – the Minister for the Bulgarian Presidency of the EU Council, Vladislav Goranov – the Minister of Finance, Mr. Bisser Petkov – the Minister of Labor and Social Policy, Delyan Dobrev – the Chairman of the Committee on Energy at the National Assembly, Vasil Velev – the Chairperson of the BICA, Valeria Ronciti – SEEP Secretary General, Andrzej Malinovski ICCEU Chairman for 2018, Ognian Zlatev – the Head of EC Representation in Bulgaria, representatives of employers’ organizations , MEPs and others. 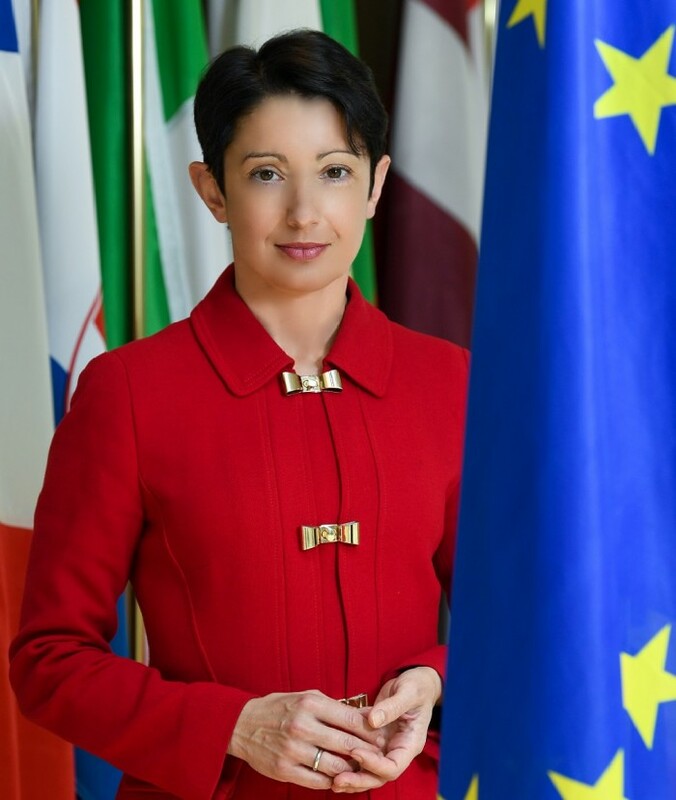 Dr. Milena Angelova, member of the Employers’ Group, will be one of the two vice-presidents of the European Economic and Social Committee (EESC) for a two-and-a-half year term from 2018 to 2020. She will be responsible for budget matters. She will fill one of the senior positions in the EESC along with the newly elected president Luca Jahier from Italy, former president of the Various Interests’ Group, and vice-president Isabel Caño Aguilar from Spain, member of the Workers’ Group, who will be the vice-president for communication matters. The new president and vice-presidents were elected on 18 April as part of the Committee’s mid-term renewal session marking the half-way stage in its five-year term of office. As the Committee embarks on the second half of its five-year term, it will as always be working hard to strengthen the voice of civil society and bring Europe closer to its citizens. The EESC is made up of 350 members from its 28 Member States. Nominated by their national governments, they are appointed by the Council of the European Union for a period of five years. They then work independently in the interests of all EU citizens. These members are not politicians but employers, trade unionists and representatives of various activities, such as farmer, consumer and environmental organisations, the social economy, SMEs, the liberal professions and associations representing persons with disabilities, the voluntary sector, gender equality, youth, academia, etc. As we listen to the wondrous voices around us, regarding how “the increase in electricity prices for business will not affect in any way the prices of goods and services”, NSI has just reported consumer price growth for December 2017. Food prices grew by 3.6% on an annual basis. Growth in producer prices on the domestic market is even higher – 5.1% for industry. And this is just the beginning, as the effect of rising electricity rates for businesses is still far from being fully consumed. At the same time, there is no change in the actions of official authorities towards normalizing the situation of the so-called “free electricity market”. Therefore, the nationally representative employers’ organizations BICA, BIA, BCCI and KRIB, united in the AOBE, whose members account for 86% of the gross value added in the country and employ 82% of the employees in the Republic of Bulgaria, and the “Protection” National Trade Union, have presented to Sofia Municipality a notification concerning the organized protest procession, which will be held on February 28, 2018, from 10:30 to 12:30, on the route “Nezavisimost” (Largo) Square – Ministry of Energy. In today’s world, communications are changing, our perceptions of public engagement are reversing, and the challenges to the PR industry are getting bigger. With a sense of well accomplished work, our colleagues from the Bulgarian Association of PR Agencies (BAPRA), which is a member of BICA, share the new edition of their bi-lingual booklet of best projects awarded at the BAPRA Bright Awards 2017. Bulgarian Industrial Capital Association is a traditional partner in the event and in the distribution of its editions. The winning campaigns in each category are presented in relation to the recognition they got in the contest. Also, all participating projects are revealed by categories. They are listed alphabetically, according to the names of the agencies that submitted them. The rich content of the booklet includes detailed information about the international jury, as well as each of the categories: “Debut of the Year”, “Innovative Campaign”, “Digital Campaign”, “Special Events”, “Related Cause”, “Employer Branding”, “Internal Communication Campaign”, “Internal PR Campaign”, “Corporate PR”, “Public Relations Campaign”, “Communication Campaign of the Year” and “Agency of the Year”. Sponsors, partners and members of the Bulgarian Association of PR Agencies (BAPRA) are also presented. “The responsibility to us as communicators is growing, the importance of high morality and ethics in the profession is becoming increasingly important. Today, each of us is the media and the mission of PR professionals requires the messages we broadcast to be not just influential but also true, real and correct”, wrote Katya Dimitrova, President of BAPRA from 2016 to 2018 in the preface to the publication. For more information, see the full bi-lingual issue in electronic format HERE.